Easy to find, plenty of free parking! 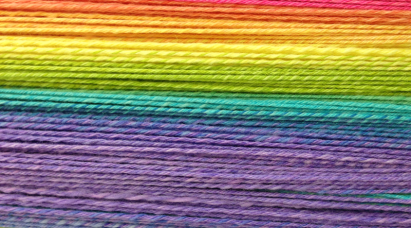 Purlescence Yarns is conveniently located in Sunnyvale at 564 S. Murphy Ave in the Allario Park & Shop center at the corner of El Camino Real and S. Murphy Ave. We are in the heart of Silicon Valley with easy access to three major freeways. From Hwy 85: Exit at El Camino Real and head south. Cross Mathilda Avenue. Turn left onto S. Murphy Avenue (this is a left turn only stoplight). Turn into the second driveway on the right. From Interstate 280: Exit at DeAnza Blvd./Sunnyvale-Saratoga Rd, heading east on Sunnyvale-Saratoga. This road will become Mathilda Avenue. Make a right at El Camino Real. Turn left onto S. Murphy Avenue (this is a left turn only stoplight). Turn into the second driveway on the right. From Hwy 101: Exit at Mathilda Avenue, heading west. Make a left at El Camino Real. Turn left onto S. Murphy Avenue (this is a left turn only stoplight). Turn into the second driveway on the right. The Allario center is within walking distance of Walgreens, Safeway, Sprouts, Trader Joe's, Panera, Five Guys Burgers & Fries, Pizza My Heart, Rubio's, Boudin Bakery, The Habit, Peet's Coffee & Tea, Chipotle, Pasta Pomodoro, P.F. Chang's, Starbucks, and other restaurants.